If you love vegetables (or just want to eat more vegetables), you're going to love A Veggie Venture! 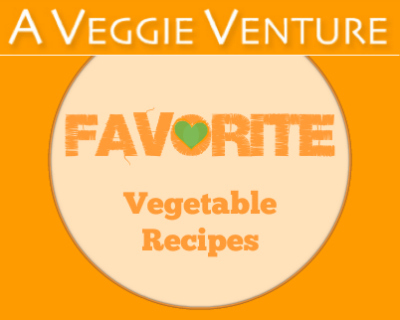 On this page, you'll find "just the favorites," a carefully curated collection of only the most-favorite recipes from A Veggie Venture's 1300+ total recipes, each year's favorites. Since 2005, I have been collecting vegetable recipes here on A Veggie Venture. For the first year, I actually cooked and shared a new vegetable recipe every single day! (Frankly, that first year, not every recipe earned a ♥. Some were outright failures, others were just unremarkable. Since that first year, I only share recipes that I really love, every single one deserves a ♥.) But so many recipes can be overwhelming! So every year, I select just one favorite recipe per month – the real favorites. Since my 90-year old father came to live with us in 2016, my time cooking has gone wayyyy up but new recipes are less frequent and the truth is, there aren't enough to select a favorite. The upside? Every single recipe posted during this time is definitely a favorite! Here you go, the 2016 recipes, 2017 recipes, 2018 recipes 2019 recipes, so far. 2019 What will the single most useful recipe be?! Lobby for your favorite! May Summer Lentils 40min/100min – WW1/2 – PP2/3 – SP3/4 – NetCarb7/8 ♥ and a prize winner! "Mélange" recipes (1) call for many vegetables in a single dish or (2) are especially suited for substituting whatever vegetables are in season or on hand.